A kayaking trip in Scotland? To many this would conjure up thoughts of being cold and wet however to the group of 10 Officer Cadets, many only just back from a kayaking expedition in France this was a chance to further develop and hone their skills on what promised to be a more technically challenging expedition. We arrived at Cameron Barracks in the late evening after a long drive up to Scotland, and after settling in and after getting to know our three instructors Mark, Sam and Ian bedded down for the night knowing that the following day would be very busy. After a cookhouse breakfast, we set off for our first days paddling on Loch Morlich, to no one’s surprise the water was far from warm! However, despite the steady stream of complaining we were undeterred by this and set about practicing basic paddling and capsize drill. The group quickly learning the required skills as an error resulted in an unexpected swim back to shore. The second day on the river Awe introduced us to what many of us had been looking forward to, grade 2 – 3 rapids. Despite the initial fear of ominously named rapid ‘the Graveyard ‘ and ‘magnetic boulder’ the rapids were perfectly in our grasp as we set off on our river journey. The day was a fun and challenging experience as the groups regularly caught up with each other on rapids and re ran and played about on them. The bravado of the groups was a motivator for the team and allowed for both peer learning and the all-important ‘trial and error’ where one wrong paddle stroke would end in a swift swim on the grade 2 river. Whether it was the fear of capsizing or personal pride the group’s ability quickly developed. 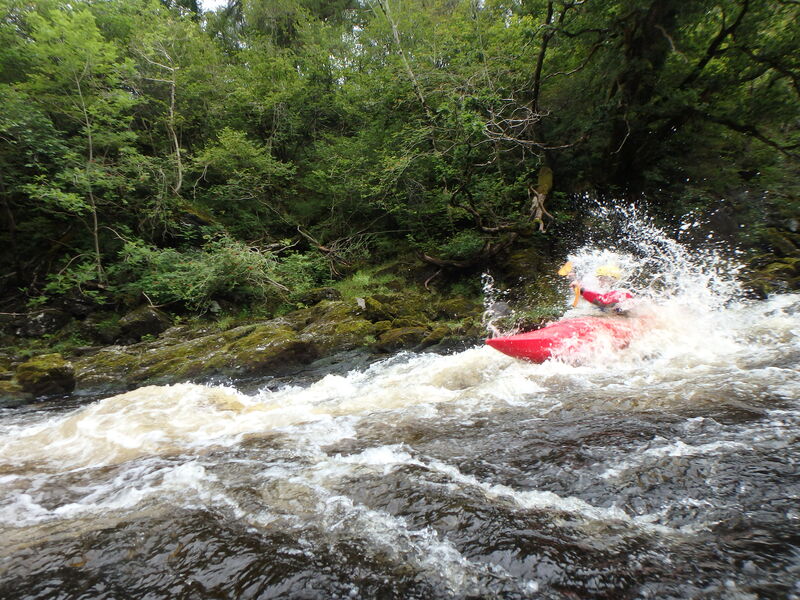 Our kayaking skills continued to develop in this way taking on the Rivers Tay, Garry and Awe. The three groups constantly pushing themselves developing their hard skills but also their soft skills. Learning quickly the importance of team reliance, communication and planning where the absence of any one of these would help the rest of the group practice their newly learned rescue skills. 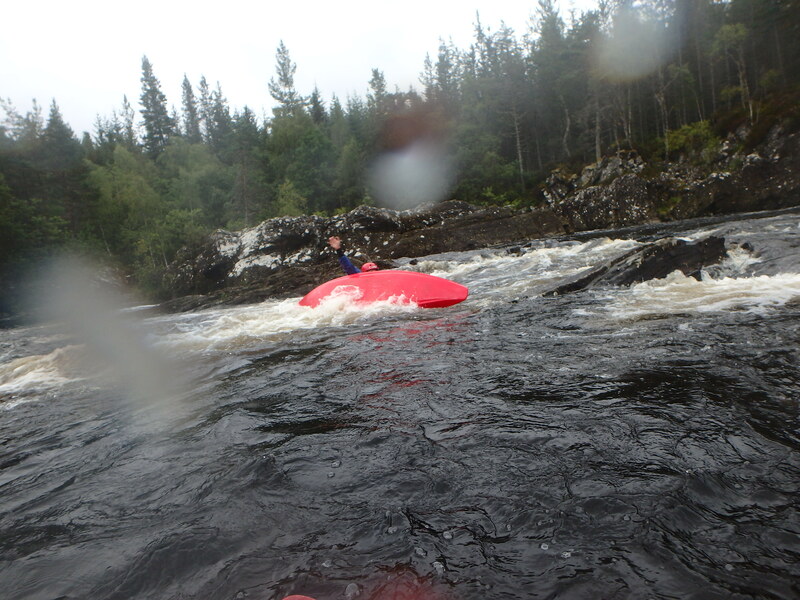 Throughout the expedition we would often stop to discuss rapids and practice our skills which was both a valuable respite and regular training refresher for skills we would need when we came to the meatier sections of the rivers. 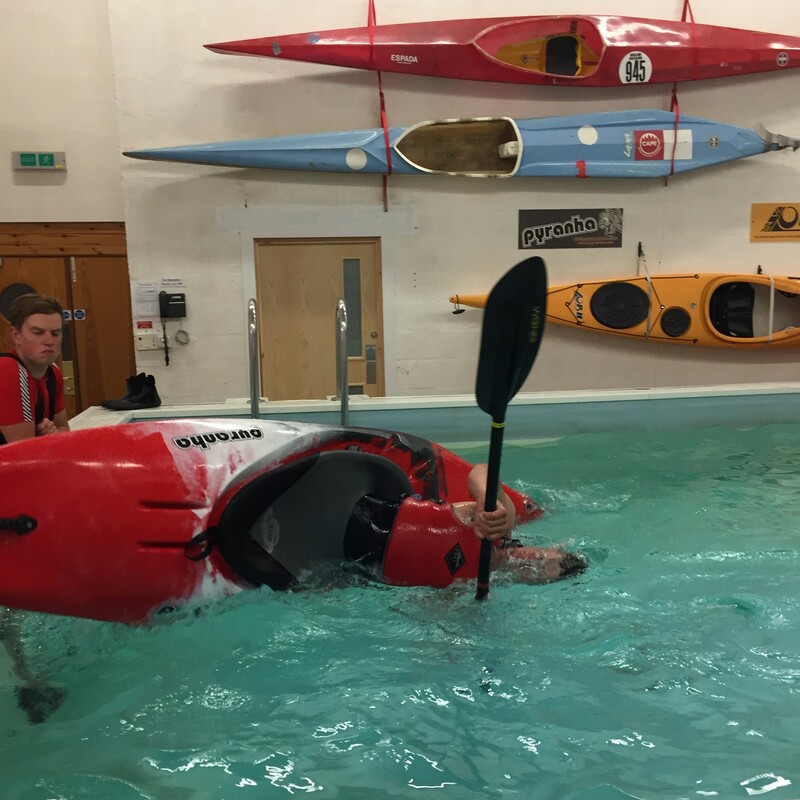 We further benefited from an evening trip to Glenmore Lodge the national outdoor training centre to practice rolling in their purpose built indoor pool. This proved to be an invaluable training experience as we could be coached one on one in the comfort of an indoor pool and laugh while re watching our videoed attempts from the comfort of the centres bar. Again the competitive spirit of the group came out through a rolling competition which saw the winner do 16 consecutive rolls! Whilst this proved to be fun we were all painfully aware that the roll was the key element in passing the 3* award. This motivating factor pushed the group and ended in a higher pass rate than many of us had expected allowing us to finish the trip on a high note. 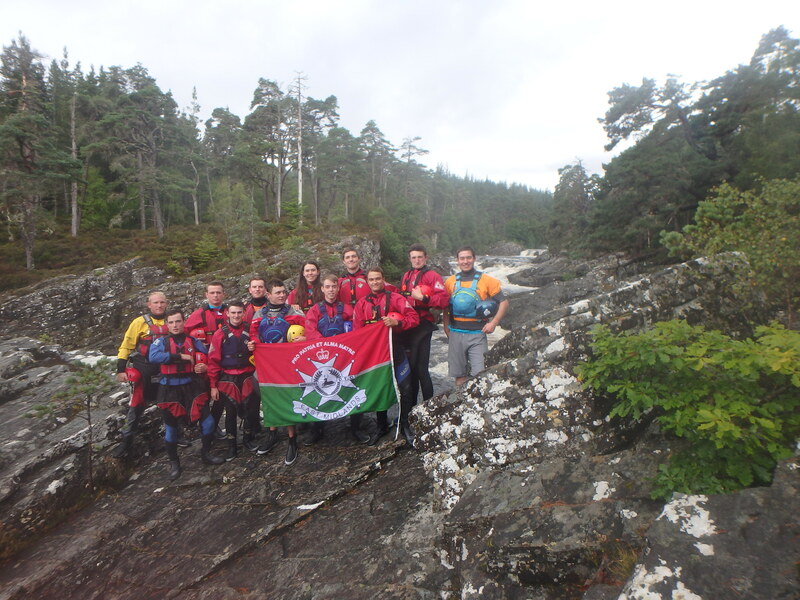 Ex Caledonian EMU was an invaluable Adventure Training expedition for the group of 10. Whilst we worked towards the 3* qualification the experience marked the end of a year long development programme set up within the unit. The expedition taught us a lot about kayaking but also fostered teamwork, leadership and friendship that we’ll take back to the UOTC environment but which is also equally valuable in our civilian and academic lives.